With nearly 120 combined four and five-star ratings across Goodreads, Amazon and other retailers, if you love magical realism novels or superhero books, this is for you. 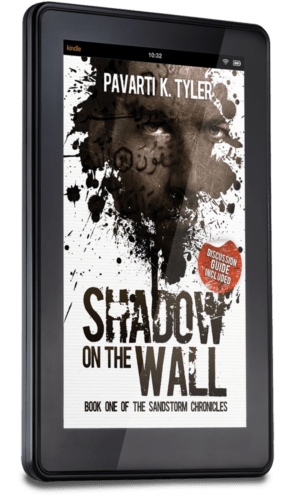 Pavarti K Tyler s Shadow on the Wall, her first book in The SandStorm Chronicles, is a delicious read even as it exposes themes that are difficult to grapple with. Her beautiful and vivid prose places us in a world where we forget ourselves and fall into her characters we love them, we hate them, we understand them, and we are mystified by them. 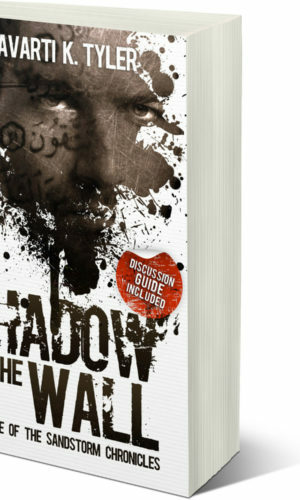 Even as Shadow transports us, once we step back into ourselves we are left thinking about her real-world depictions of religious motivations, corruption, fear, tenacity, and hope. From the moment I read the first sentence, I could not stop until I finished reading. As an Arab Muslim, I found it refreshing, to finally have someone sharing my cultural background to not be a “terrorist”, but be an actual “hero”. The imperfections of his character are what made him believable to me. We are not perfect, no one is, but he took his imperfections & became a hero for the people, instead of a suicide bomber. If anything, I see him as a metaphor for redemption, I am extremely excited to follow these Chronicles. I have always used to say that “Batman” was my favorite superhero, I have no doubt from this point on, my #1 answer will be “The SandStorm”. 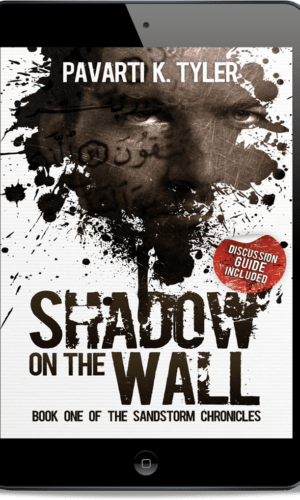 I received a copy of Pavarti K Tyler’s new book entitled “Shadow on the Wall” to review. What I will say to you is this. Buy it. Read it. It was wonderful. Not only was it a page turner that I read in one sitting (something I have not done in a few years), the story lines were well constructed and the dots all amazingly connected.